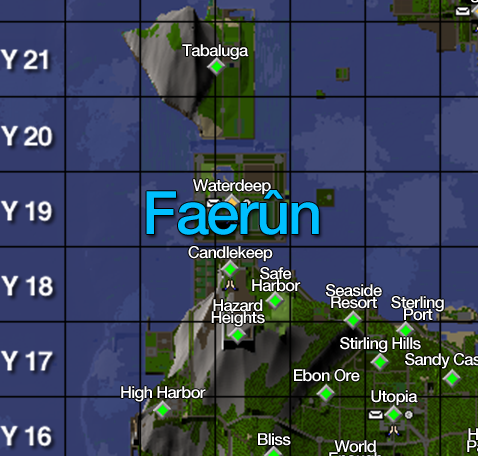 I have taken over maintaining the community map from Capi. You may only submit deeds that belong to you, and that you have explicit permission to submit. Submitting purposely erroneous entries will result in me ignoring anything you submit in the future. Mailboxes must be accessible by anyone who wants to use it. Please submit changes using the community map X/Y grid. Images pointing out the exact location on the map are welcome. Submit newly constructed public highways for inclusion on the map. Submit public tar and clay pits. 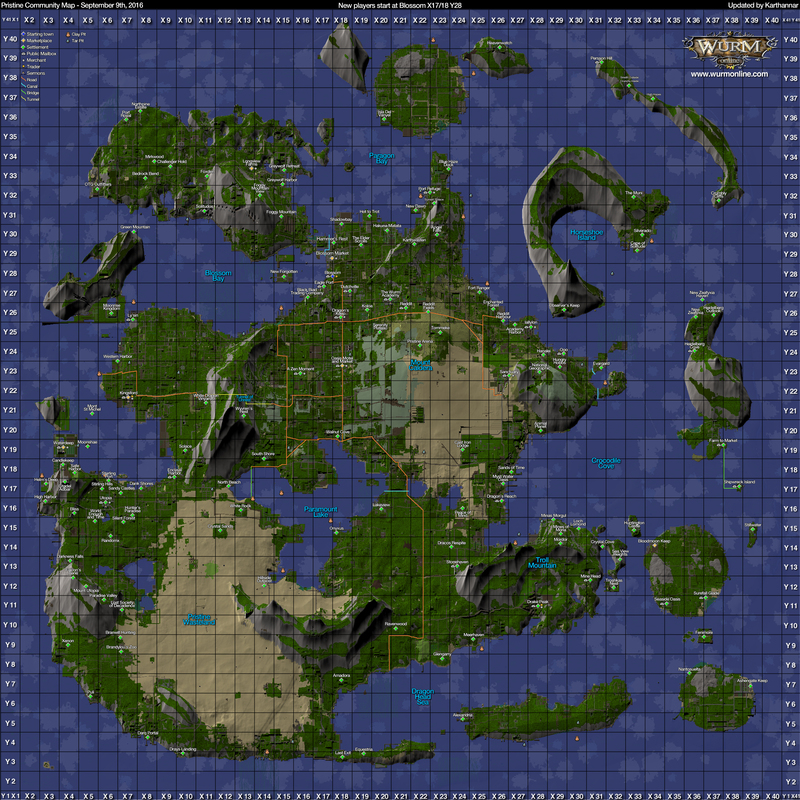 Map updates will now just be in .jpg using the updated map dump. Started redrawing some of the main roads that I know are frequently used. Note: Canals are missing, they will be re-added soon. [14:18:56] The settlement of Willow Cove has just been disbanded by Kelsi. Stoneblade at X26 Y14, Asherons Watch at X29 Y15, and Megahaven Harbour at X25 Y14 are all long gone. Nothing there but trees and mobs now. Bargrums Folley at X27 Y16 has been disbanded and is in the process of decaying. 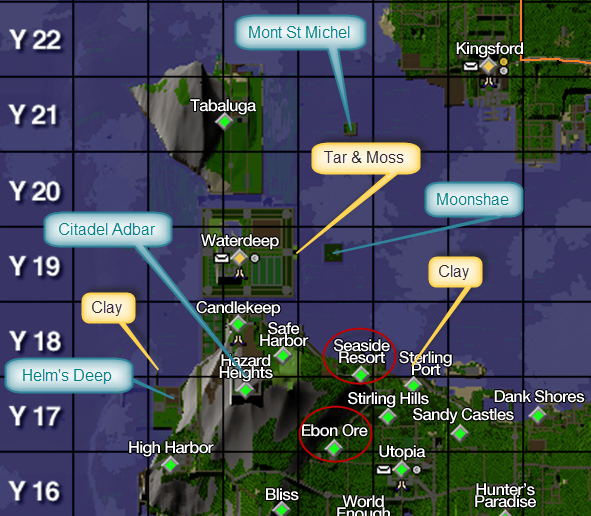 There is tar at X29 Y15 and X26 Y15, as well as clay at X27 Y14. Also, please add Dracos Respite to X24 Y14. Really glad you are doing this again Karth I see you noticed my disband last night, but here is a small list I had made of dead deeds for you, pardon if any you already know now. Stonehaven at x24y13 is my deed; the mailbox should probably removed from the map at this point, as it hasn't been public access for a bit. Not a big deal if you don't get to it immediately though. Y25X28 Lallylon actually spells "Iallylon", capital i.
I ask all citizens of Pristine to help "clean up" our map. Will check the map later and compare to the existing deeds, and will add more, if I find any others. Thanks for all the updates everyone! I really appreciate it! Far Reach Fortress X20, Y37/38 is no longer there. Don't know if current deed owner wants to be listed or not, but there IS a deed there. Lily Pad (x12,y18) is gone. X23, Y27 Horizon is no more I saw it fall in the chat and went and checked on it, it is gone. Thanks folks. I plan on pushing an update when I get home from work today. Raised tar tile at Karthwasten Harbor. Please add public tar and clay there. Take a closer look near your deed, I already added the tar. The clay pit doesn't currently meet the requirements for inclusion. I will eventually get off my rear and raise it the rest of the way. For your next update Karth, I have a small deed now, Jordskott, at the top of x14 Y25. One tile over to the west there is also a public tar pit, right about in the middle of the tile, you can see the black dot on the new map dump. My deed is Glenellen at X22, Y8 ... in the cove .. the dock at the same area is now gone. If you would add that to the map, it would be great ! thanks very much. Hey folks, as a reminder to be included on the map tar and clay pits must be at least 2x2 square (if possible) and diggable by newbies. While they don't have to be perfectly flat they shouldn't require more than 10 or so digging skill (30 slope) to access the resource. There will be a couple of spots I will be removing with the next update because they don't meet these requirements. Thanks Karth. I will work to remedy that at Karthwasten Harbor this week so you can add it officially. Add deed: Add deed I own "Mont St Michel"
Add deed: Add deed I own "Moonshae"
Add deed: Add deed I own "Helm's Deep"
Rename: "Hazard Heights" was renamed to "Citadel Adbar"